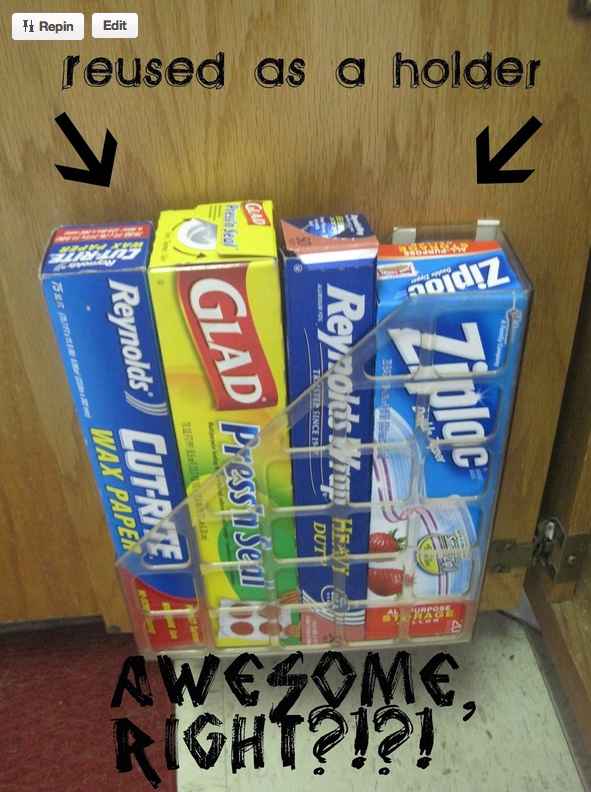 Just a little of that double-sided-sticky-foam-tape and you have a great way to organize all those stupid boxes that take up so much space in your kitchen drawer. Especially when you only have a drawer or two, you realize just how valuable they REALLY are. Since drawers are at a premium in my apartment (see post "240 sq-ft is way too small") this idea really frees up some space and makes use of cabinet doors which are untapped gold mines for space saving. 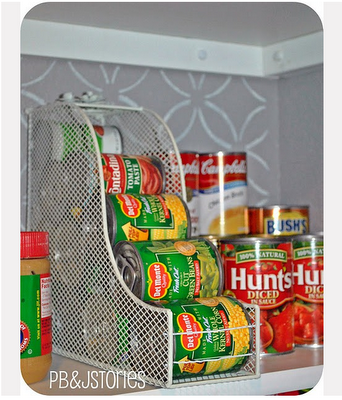 Turn a wire mesh magazine rack on its side and add two pins through the opening and you have a great canned food holder. Bring on the zombie apocalypse, my canned food is ready to go! It always amazes me how many people come up with these simple but super useful ideas and how utterly fantastic they are... Perhaps someday they will create an entire magazine dedicated to these sorts of things?